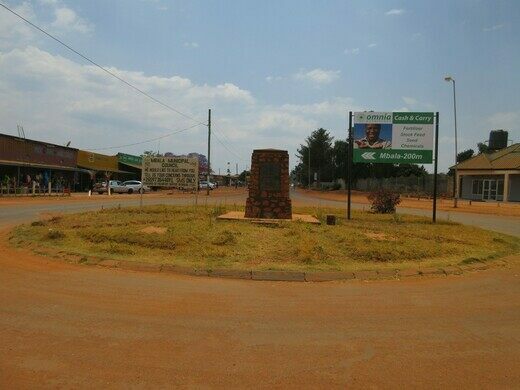 A memorial in the middle of a roundabout marks the spot where German forces formally surrendered, finally ending World War I in Africa. After the signing of the armistice of World War I on November 11, 1918, it took three days for German forces in East Africa to learn of the end of the war. On November 14th, German General Paul von Lettow-Vorbeck was delivered a telegraph informing him of the end of hostilities, and was ordered by British forces to march north to the town of Abercorn to formally surrender his forces. A memorial in Abercorn, modern-day Mbala, marks the rough location where the German forces laid down their arms. The small monument, situated on a small grassy circle in the middle of a roundabout in the center of town, features two plaques commemorating the historic event. During the war, General von Lettow-Vorbeck had led an effective guerrilla campaign to keep British forces occupied and away from the front lines in Europe. At the end of the war, his forces entered the British colony of Northern Rhodesia (now Zambia) and captured the town of Kasama. There, the general finally learned of the armistice that had been signed in Europe three days prior. 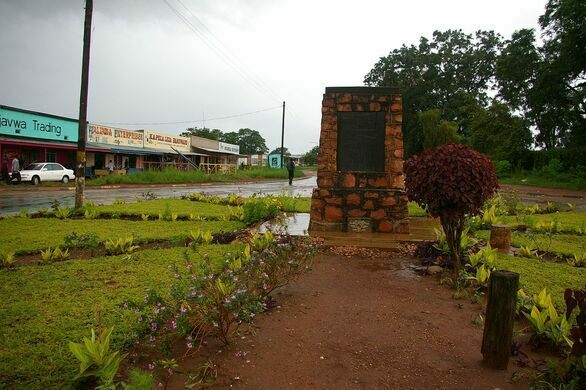 This event is marked by the Chambeshi Monument in Kasama. 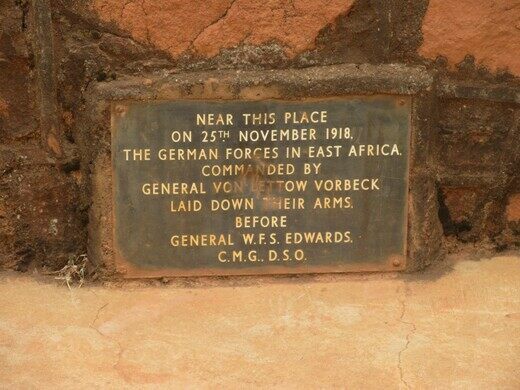 The British command then ordered General von Lettow-Vorbeck to march his forces to Abercorn, approximately 155 miles to the north, near the border of German East Africa (modern-day Tanzania). On November 25, 1918, a formal surrender was held in Abercorn, marking the final end of the Great War in Africa. Following the surrender, the German forces were directed to throw their weapons into the nearby Lake Chila, and then returned to German East Africa. German weapons remain to this day at the bottom of the lake. Examples of some of the weaponry recovered from the lake can be seen in the nearby Moto Moto Museum. 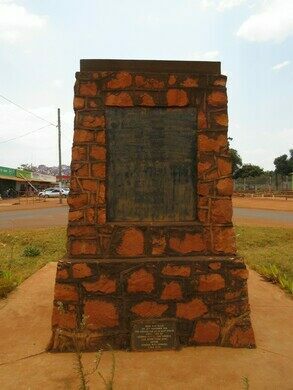 The monument is located near the center of Mbala in the middle of a roundabout on President's Way. The monument is accessible for free 24/7. From November 20-25, 2018, Centennial Celebrations will be held to mark the 100th anniversary of the formal surrender on this spot in 1918. A stone memorial marks the spot where the fighting of World War I finally ceased—three days after the armistice was signed in Europe.